The formula extra strong and a drip of Loctite is ideal for any application even to vertical surfaces. 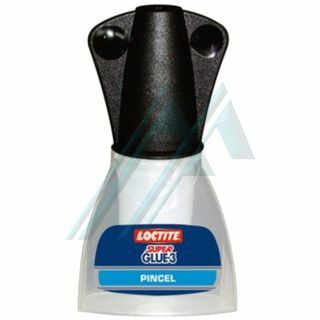 For those unions are difficult to access, Loctite Super Glue-3 Control has the exclusive Press Control System that allows a precise dosing drop by drop. Porcelain, Metal, Rubber, Leather, Wood, Plastic and Cardboard. Applicator types: tube and bottle control for applications precise drop-by-drop. *Except polyethylene (PE), polypropylene (PP), polystyrene, Teflon®, or synthetic fibers.